The Australian Ladies Professional Golf (ALPG) Association, in partnership with title sponsor ActewAGL and Royal Canberra Golf Club has announced that the ActewAGL Canberra Classic will be once again returning to The Royal Canberra Golf Club from the 1st – 3rd March 2019. 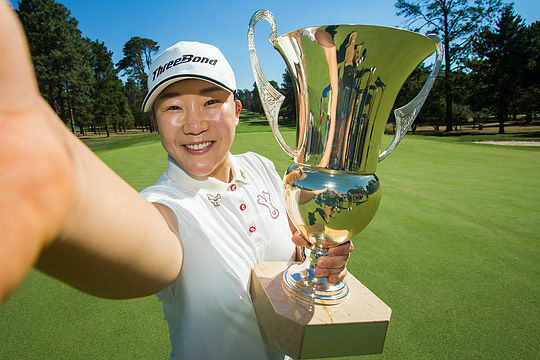 The tournament will be an official event on the ALPG Tour schedule with prize money at a minimum of $150,000 and will be held the week in between the Australian Ladies Classic Bonville and the NSW Women’s Open. Dame Laura Davies, former world number one, twice winner of the Australian Open and winner of 85 professional tournaments worldwide including 5 major championship has already indicated that she will return to compete in the event. “The tournament will again be sanctioned by the Ladies European Tour and given 2019 is a Solheim Cup year we can expect to see many of Europe’s leading players competing as they chase a place on the European team,” said Ms Lunn.